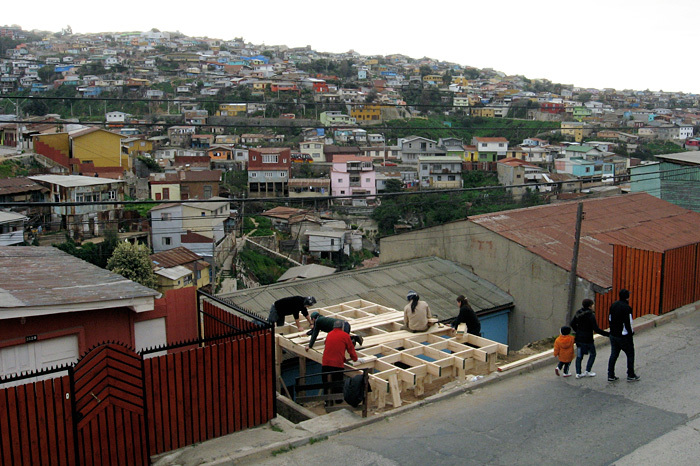 The main objective of this work was to evaluate the ‘heritage restoration’ model of Valparaiso since it was declared ‘UNESCO World Heritage City’ in 2003. 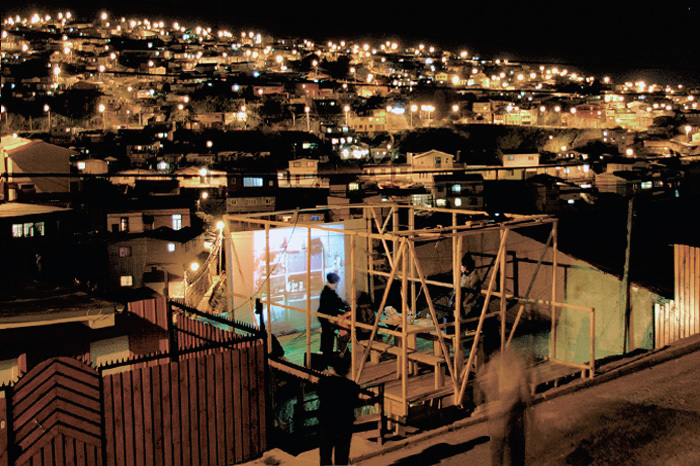 Since that happened, Valparaiso like many other ‘heritage’ cities, is using his new condition to attract international tourism. Part of that change includes important architectural and urban transformations. To evaluate the pros and cons of this renovation was the intention of this work. To do so, we focussed on the daily life of the many popular neighborhoods placed on the hills of the city. 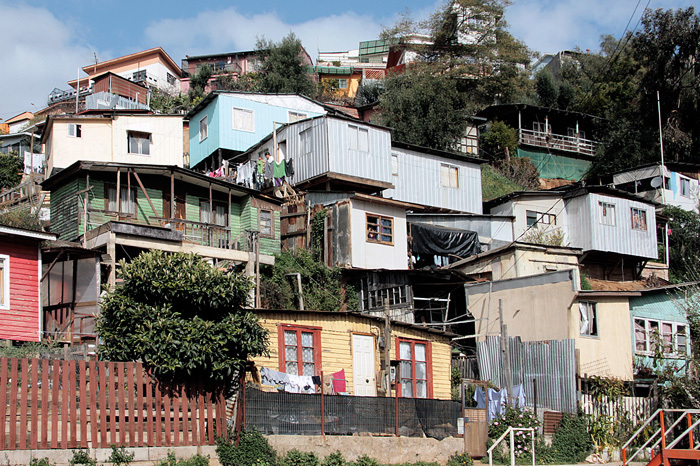 We approached them to understand how was the ‘other’ Valparaiso, the one far away from its heritage epicentre. Our search ended up focussing on the self-construction of the own house in the hills of city. 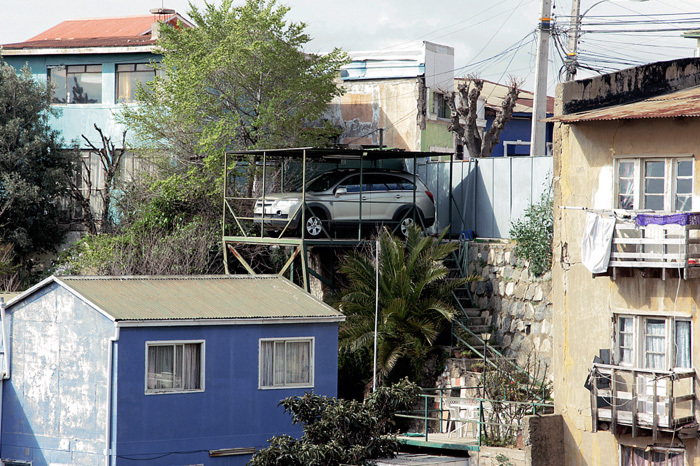 We saw in this widespread disobedient practice, on which rests the vast majority of Valparaíso, a powerful answer to a heritage policy that insists on domesticating this rebel landscape. 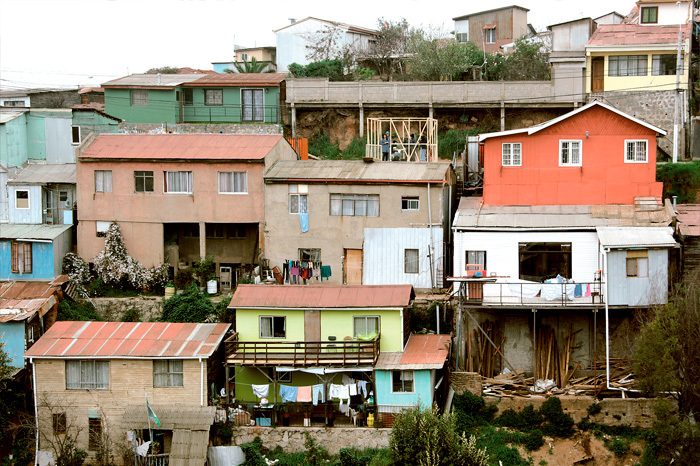 We settled in Cerro Cordillera, a popular neighborhood that fit perfectly with the goals of our search. We decided that the best way to get to know the site was to be a part of it. To do so, we constructed the installation ‘The Unfinished House’, an intervention attached to an existing home, understood as a dialogue with the surrounding environment. Our construction had a particularity, it was hollow, without façades. 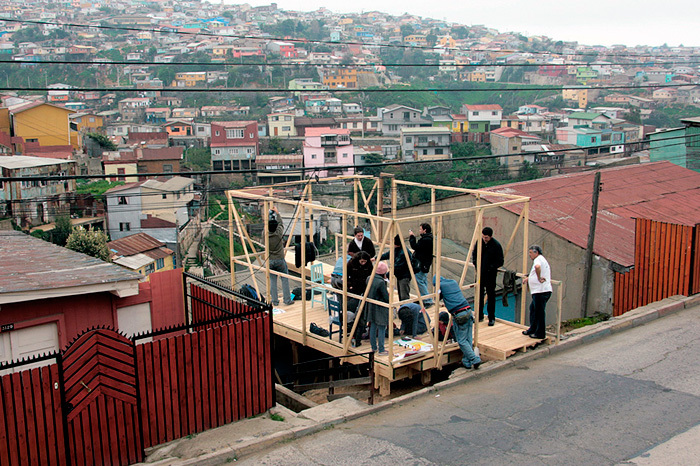 This aimed to underline the human value that constantly modulates the houses on these hills. Here, the ‘unfinished’ condition is inherent to an urban landscape always ready to change. At the same time, our location on a street level allowed us to explore the public-private intimate relationship around these neighborhoods. 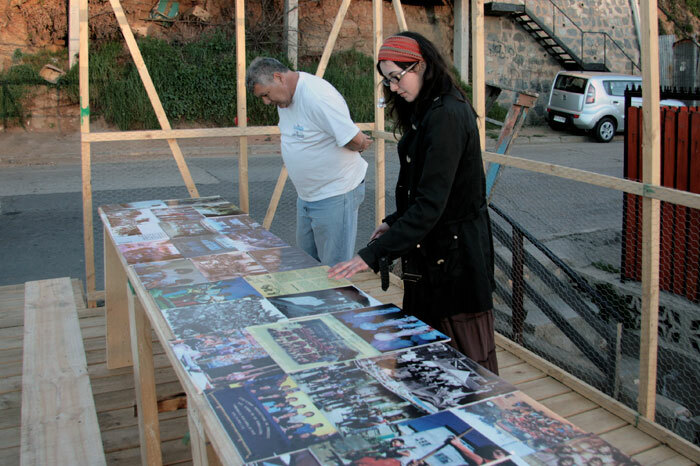 The installation held later several activities linked to the neighborhood. On his return to Barcelona, the project raised a final dialogue between these two cities. 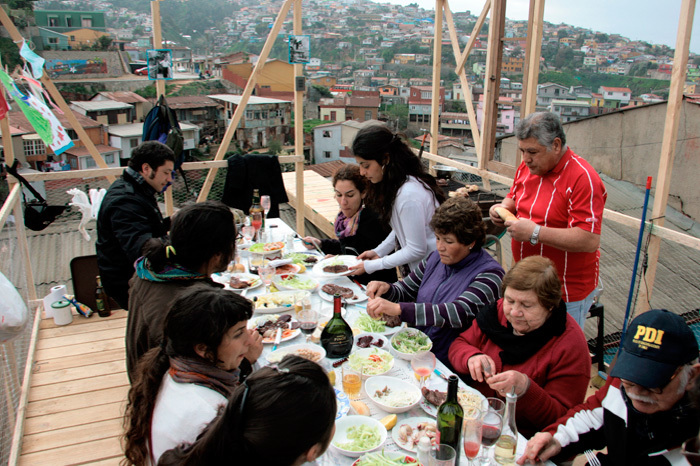 This last part of our work linked past and present on the self-building practice in the cities of Barcelona and Valparaíso. Through a video documentary, we connected various stories of the inhabitants of Cerro Cordillera with some images of the Carmel district of Barcelona.